Drumming connects people. But creating that connection in drumming is all about using the same interpersonal skills one would apply to talking and communicating with others. 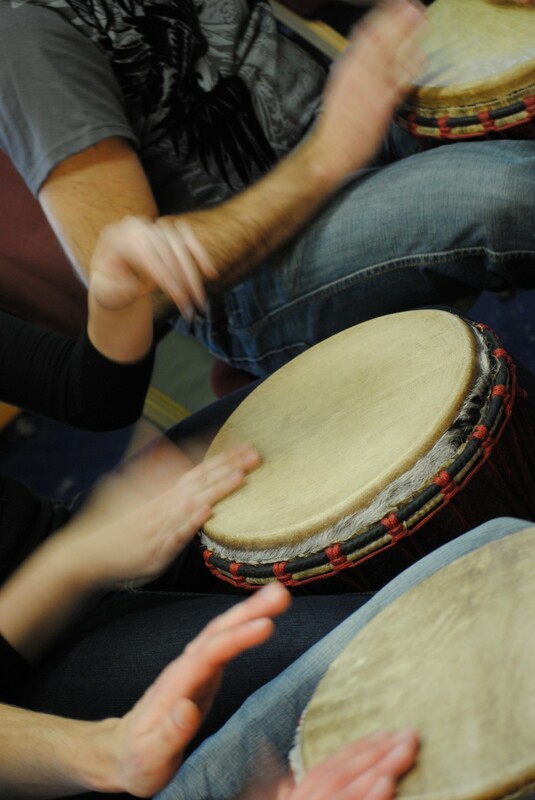 ''Creating quality dialogue between people is about giving and receiving; listening and being listened to.” Group drumming works in exactly the same way - if everyone can hear each other and also be heard, a group can create a great drumming sound - without needing a Grade 8 in music! Members of the Business Network Chester discovered this first hand when they took part in Unbeatable Energy's Drum Circle Seminar at the Chester Grosvenor Spa and Hotel. The aim of the workshop was to create an improvised group drumming sound which relied less upon mastering specific drumming skills and technique and more on approaching the drums as a simple means of talking and communicating.